Transmogging is the “art” of changing the current look of you gear for some other gear set. So if you went your new raid set to look like some level 15 noob’s, you can. Or make you PvP set look like the raid set, or… You get the idea. So I’m going to be posting various gear sets over the next few weeks, or until I get bored. 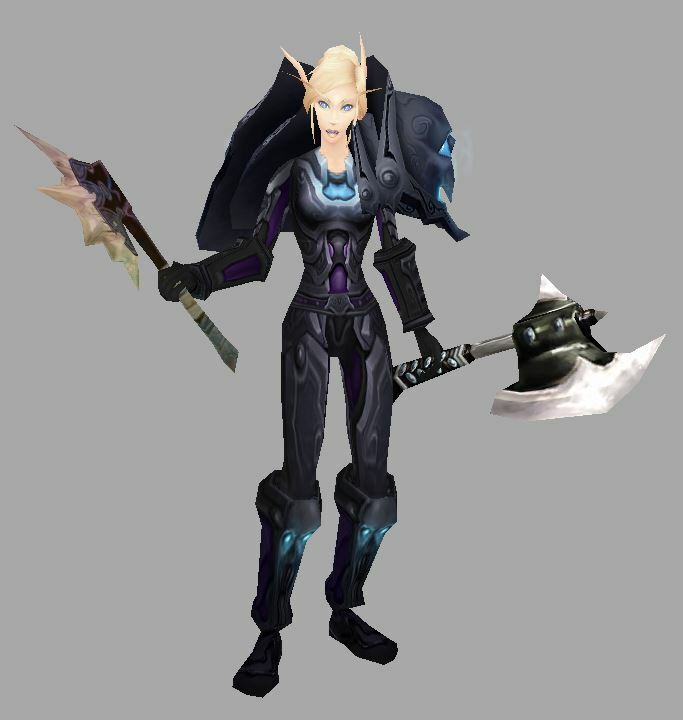 Our Lovely Ms. Belf models this year’s transmog gear: a tier 3 (level 60) raid set, the Dreadnaught’s Battlegear. Good luck digging it up though, as most of it was from the old Naxx dungeon and the Lich King moved and changed that. If you’re lucky, and rich, you might be able to find the bits on the black market Auction House. Not sure as to the availability of lookalikes. Basically, I’m just putting it up because it’s kinda cool. Originally it was a tanking set. Dreadnaught’s Battlegear: Head, shoulder, chest, belt, boots, legs, bravers, gloves. And the Mighty Mr. Smith shows off the same gear, but with the Might of Menethil, another unavailable iterm. 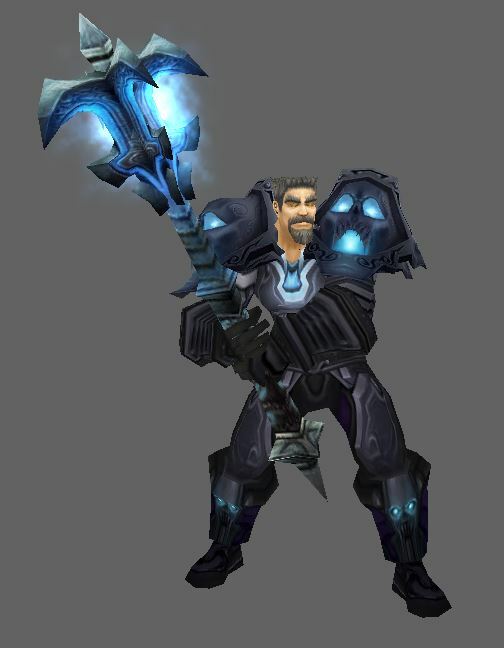 Other transmog gear sets will be shown later, and they will be available in game, unless they look particularly interesting. 😉 Check the Transmog category for all the transmog gear posts. Eventually there will be a bunch. Please share and like the post if you enjoyed it. PS: The Dreadnaught’s Battlegear is (was) a Warrior set.